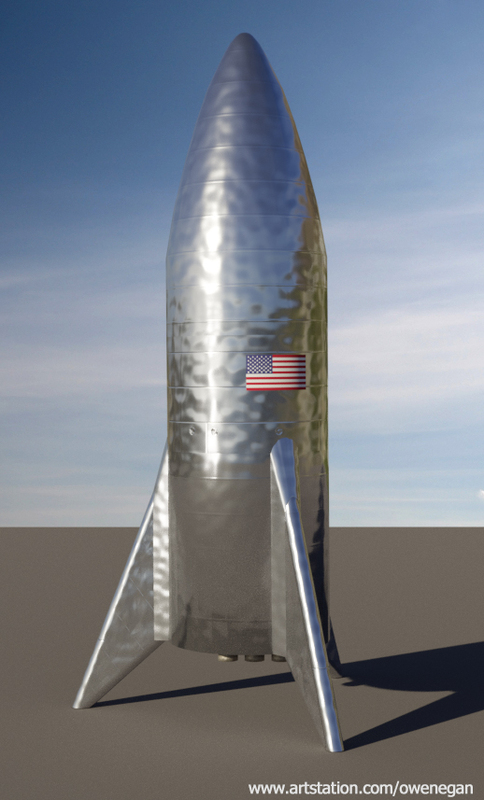 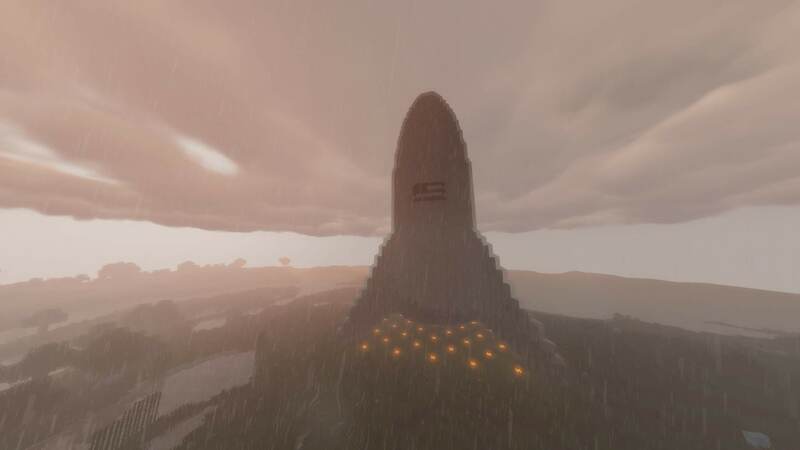 Concept images of SpaceX's stainless steel Starship test vehicle (Starhopper) by British graphic designer Owen Egan (known on NASASpaceFlight.com forum as "tea monster"). 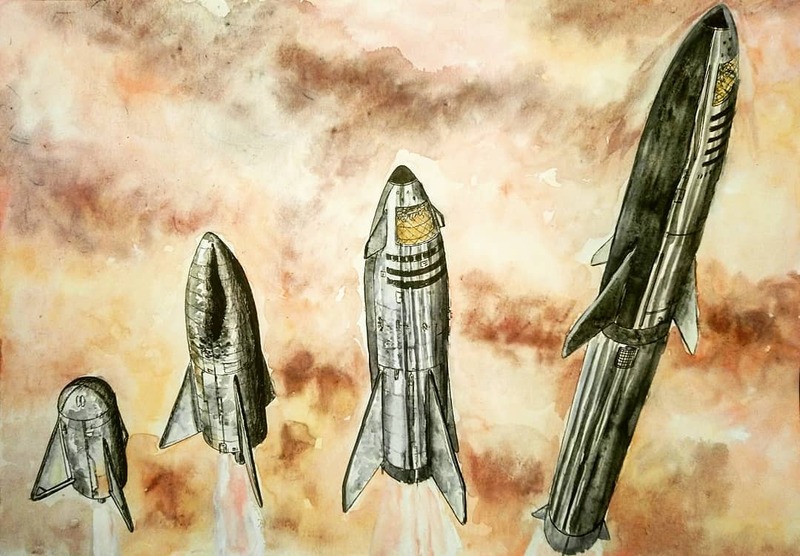 The Starhopper is not shy of its wrinkles :) More of Owen's art here. 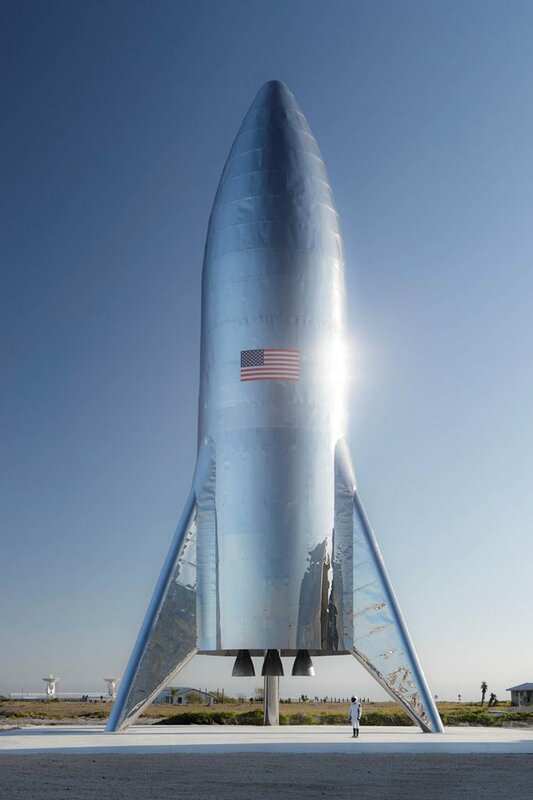 The SpaceX's Starship test vehicle (being a bit shorter, ~40 meters, than the full-scale Starship) is built in Boca Chica, Texas and scheduled to fly first test flights on March/April 2019. 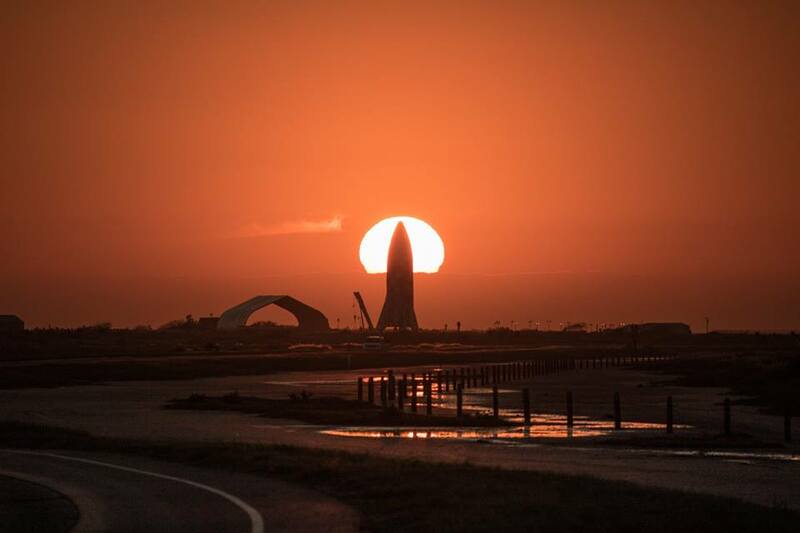 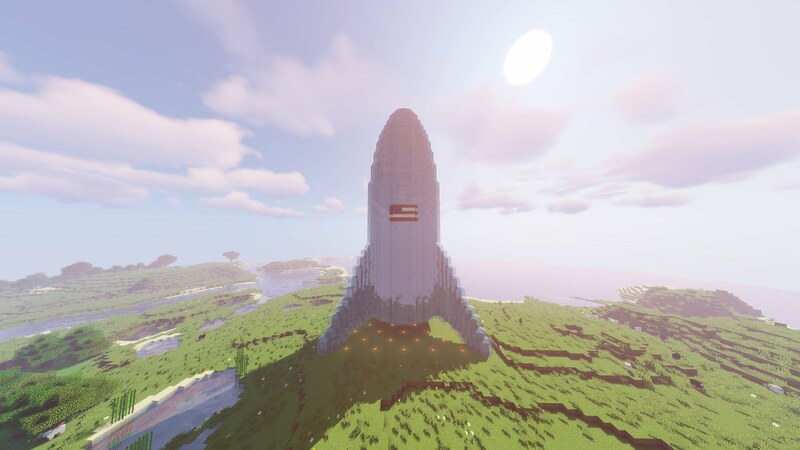 Today Elon Musk tweeted the photo of the actual Starhopper (the shorter test vehicle of SpaceX's stainless steel Starship) built in SpaceX's Boca Chica launch facility in South Texas and sheduled to fly first test flights in March/April. 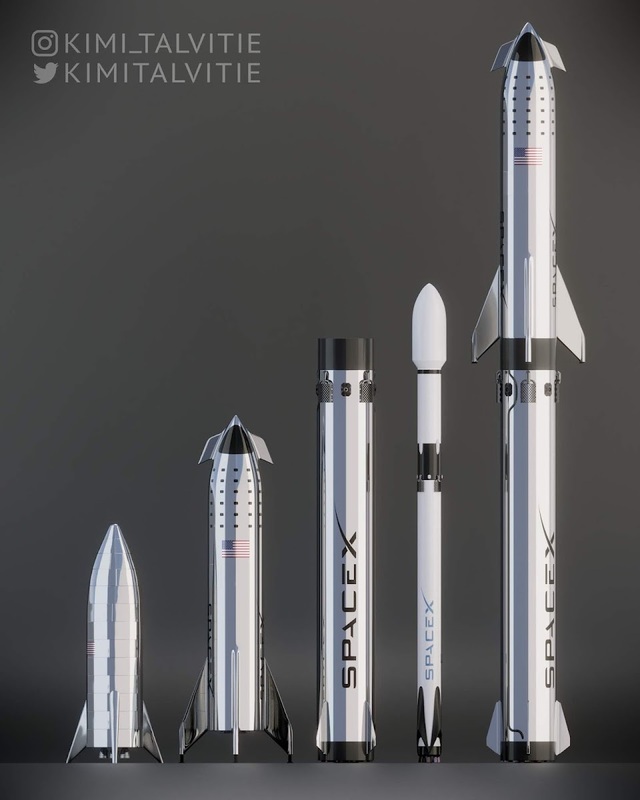 After making some of the best model renders of SpaceX's stainless steel Starship to date, Finnish 3D artist Kimi Talvitie has made another image, comparing the models of Starhopper (the shorter test vehicle of Starship), Starship, Super Heavy booster, Falcon 9 and full stack Starship + Super Heavy. 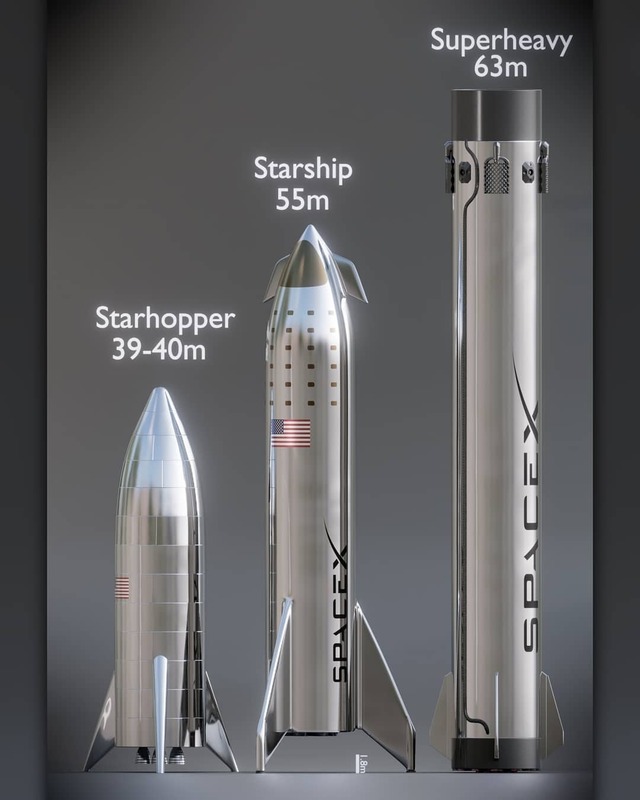 Finnish 3D artist Kimi Talvitie has made some impressive 3D models of SpaceX's stainless steel Starhopper (the shorter test vehicle of Starship), Starship and Super Heavy booster. 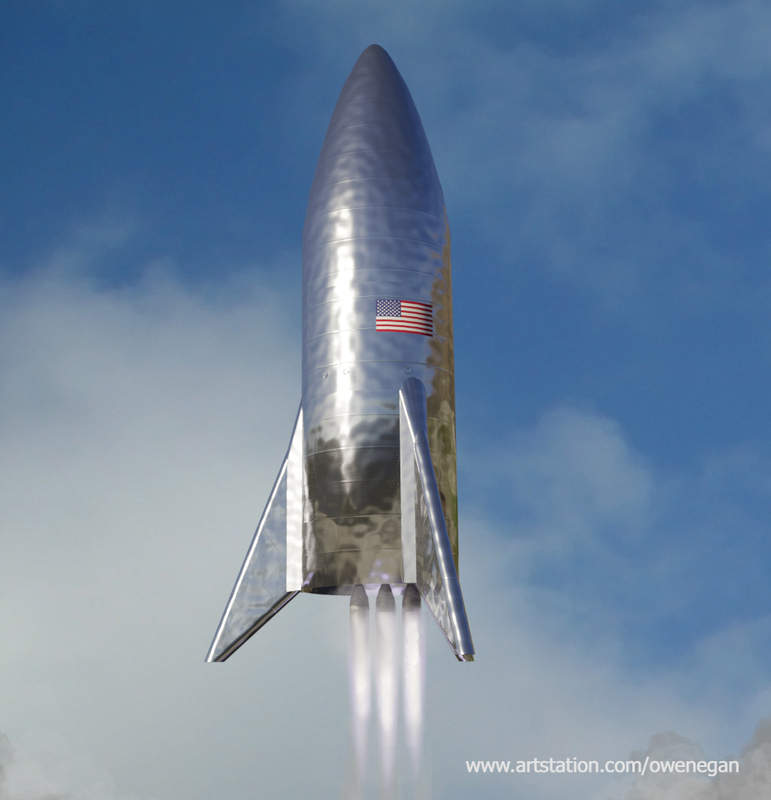 Here are some comparative renders of them. 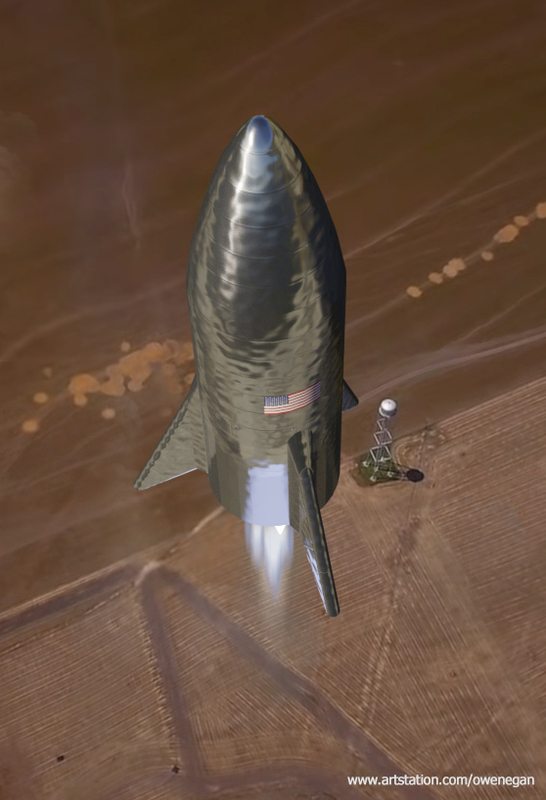 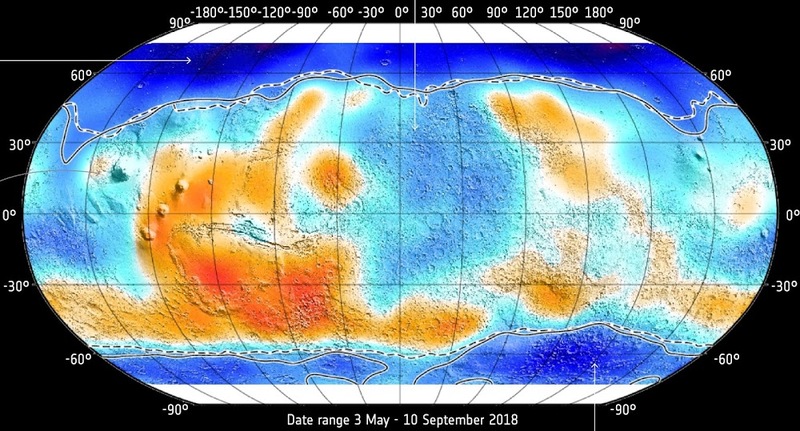 Open link in new tab to view image in full resolution.